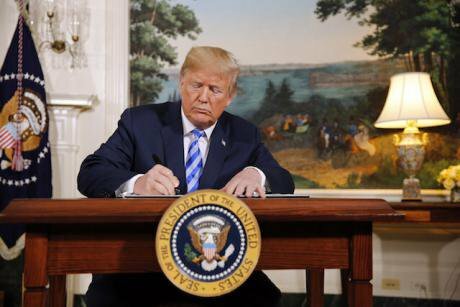 President Trump announces US withdrawal from the Iran nuclear agreement, May 8, 2018. CNP/Press Association. All rights reserved. This lecture draws upon material from my articles “Lessons from the Populist Revolt,” Project Syndicate and 'Populism, Liberalism, and Democracy,”' Philosophy and Social Criticism (2018). It was given at the Institute for Human Sciences, Vienna last month. See also What Money Can't Buy – the new video series promoting public debate about the moral and civic limits of market reasoning, from the Institute for New Economic Thinking.